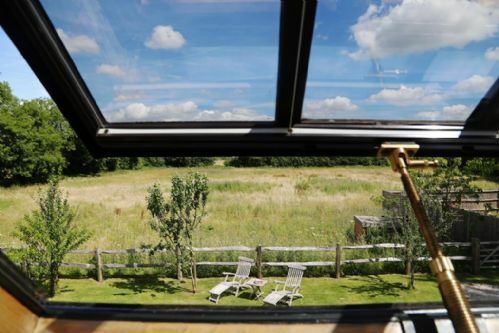 Rural Kent self-catering holiday cottage near Maidstone in beautiful countryside setting. 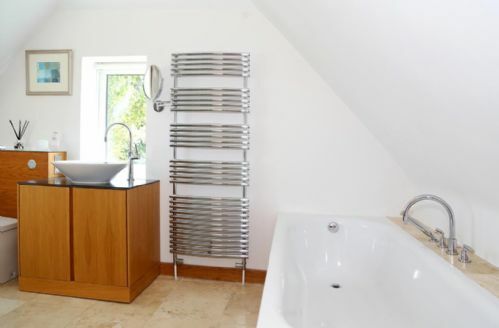 This spacious cottage has been newly renovated and furnished to a very high standard with fabulous views of the surrounding Kent countryside. 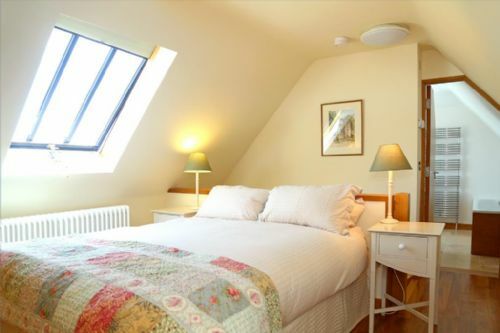 The cottage is full of every modern convenience to make your stay as comfortable and enjoyable as possible, from the kingsize double bed and high quality bed linen to the double ended bath in the en-suite bathroom. 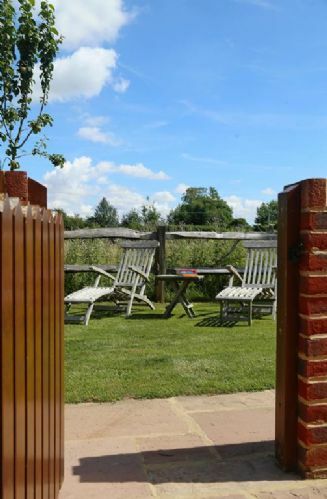 The charming courtyard garden offers the perfect place for sitting and enjoying a summer BBQ and a glass of chilled wine after a day sightseeing, what more could you ask for! The Hen House is the perfect place to base your stay for summer holidays or short breaks whatever the time of year. 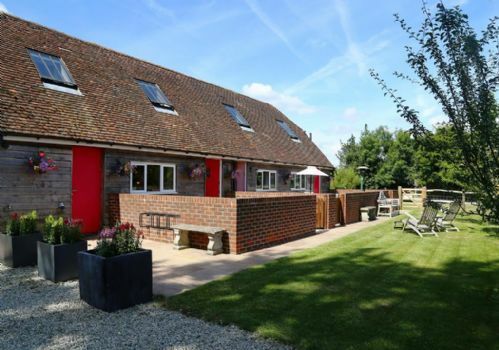 This holiday cottage in Kent is also ideal for families holidaying together as it has a larger converted farm building next door, Honywood Cottage, that can accommodate a further 4 people, please ask for more details. 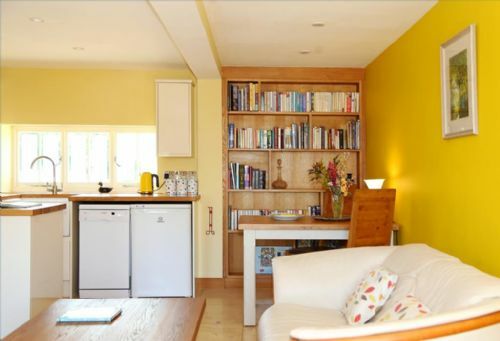 The Hen House: sleeps 2+1, master bedroom with en-suite bathroom, open place reception rooms, dining area, kitchen, courtyard garden, large gravel parking area for several cars. Open plan living area, sofa, TV and DVD Player. Master King size bedroom (sleeps 2). Z bed (sleep 1) suitable for a child. 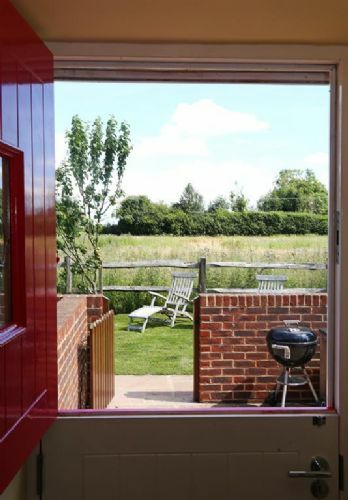 This self-catering holiday house is surrounded by open Kent countryside with footpaths to explore the local area and visit the many charming pubs. Further afield from this holiday house there are wonderful Kent gardens to explore including Goodnestone, Sissinghurst and Great Dixter. 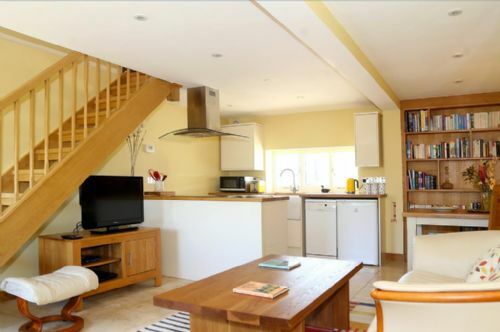 This holiday house is perfectly situated for you explore Faversham or Maidstone and is a short distance from Ashford International where the Eurostar will whisk you away to Paris within 2 hours! If it is castles that interest you, both Leeds and Dover castles are within an easy drive of this self-catering holiday house. Leeds Castle, one of the most beautiful castles in England, also has a fabulous golf course and the new "Go Ape" attraction which is an award winning high wire forest adventure course up to 40 feet into the trees; ideal for the adventurous types staying at this luxury English property in Kent.For food lovers staying in this self-catering holiday let, this area of Kent boasts ten entries for restaurants and pubs in the 2009 edition of the Good Food Guide. With delicious local produce and many local Farmers' Markets this part of Kent deserves to be called 'The Garden of England'.For more ideas please visit our 'things to do' section on the website. Had a lovely stay - welcoming owners. Even received a cake, eggs and bacon on arrival. Beautiful cottage with lovely garden. We we're both very impressed with the quality and comfort of the Hen House. The owners couldn't be more helpful and we felt totally at home even our chocolate Lab! The nearby village was a delight with two lovely pubs. Would definitely go again perhaps with our family as they could stay in the adjoining building. Fantastic, clean environment, even a lovely cake baked for when we arrived. Thoroughly enjoyed our stay and would recommend to anyone. Very welcoming and always willing to help out or give you anything you need. 10/10 top quality cottage, top quality in all ways - bed/kitchen/bathroom/decor/gorgeous flooring and we are hoping to be back soon! Nice and quiet but handy location. Owners were really helpful - advising on places to eat (the chippy in nearby village was wonderful!) and visit. They are so welcoming and the lovely marble flooring is easy for giving a clean before we left, as the owners kindly allow pets. Whitstable and Maidstone are conveniently nearby (Whitstable on a Sunday is great by the harbour). 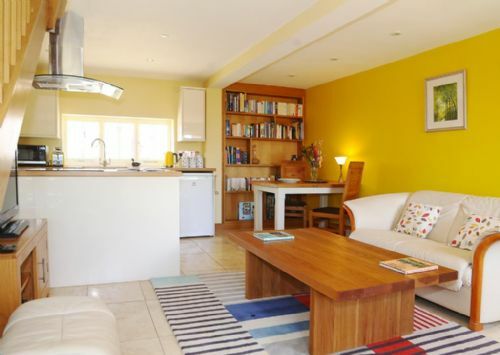 The hen house was a fabulous cottage, we enjoyed our stay start to finish, the owners are so friendly and helpful, felt very welcoming to asking questions or recommendations. The cottage is topped of with thier own eggs, sausage and bacon. Perfect relaxing short UK break. You found me a wonderful property at the last minute. Made everything easy. I can't think of anything that would improve the service I received. It was brilliant! 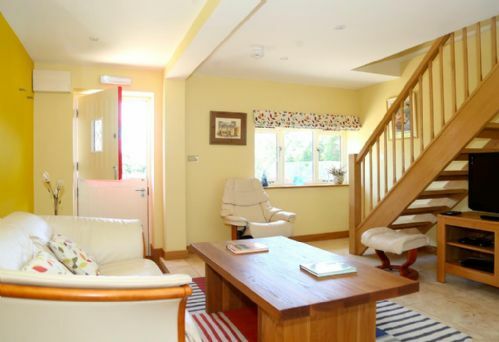 Very cosy cottage, surrounded by beautiful farmland. Perfect for a relaxing break away, just what we needed. Small well behaved dogs or 1 cat is welcome. Friday changeover. Highchair and cot available.